Home Assisted Living vs. Nursing Homes: What’s the Difference? If you’re just getting started on the search for the right home for your senior loved one, don’t worry if you begin to feel overwhelmed by the all the different options you have. Even if you’ve never heard of an assisted living home or nursing home, Senior Care Center is here to help you sort through the various options you have to find the right place. If you’d like to know everything there is to know about assisted living, check out our articles on assisted living. Both assisted living and nursing houses are forms of senior homes offering long-term care, everything from assistance with activities of daily living to looking after serious health conditions. However, if you’re debating which one is right place for your loved one, note that there are some big differences between the two. According to the National Center for Assisted Living, there are approximately half a million assisted living apartments accommodating almost a million US citizens. Assisted living is a type of housing solution for seniors who need assistance with activities of daily living (ADLs) as well as those who are disabled or unable to sustain personal care. Assisted living facilities or assisted living homes are developed with a senior lifestyle in mind. For instance, most assisted living facilities will accommodate wheelchairs and will be arranged in a way to prevent accidents and falls. Assisted living facilities also offer a number of services like daily meals, health and wellness programs, recreational activities, laundry, general housekeeping, some medical care, and more. All assisted living facilities will have qualified caregivers who can help with ADLs such as eating, bathing, dressing and taking medication on time. While assisted living facilities focus more on personal care assistance, nursing homes are for seniors who are in need serious medical attention. Many nursing home residents struggle with chronic illness or are managing recovery from injuries. Nursing home facilities will be better equipped with medical equipment and staff who can properly treat and care for of its residents. These homes can also offer services such as occupational therapy, physical therapy, memory therapy, speech therapy, and such. Unlike assisted living homes, nursing homes are well-equipped with medical resources such as oxygen tanks, dialysis machines, and electronic beds. Nursing homes are long-term care facilities and provide daily meals, medication monitoring, personal care, activities and social programs, and general maintenance such as laundry and housekeeping. Nursing homes also called convalescent homes or skilled nursing care centers. These facilities provide a wide range of services that also include personal care. Since many residents require serious medical assistance at all times, nursing homes provide 24/7 medical assistance from qualified health professionals. 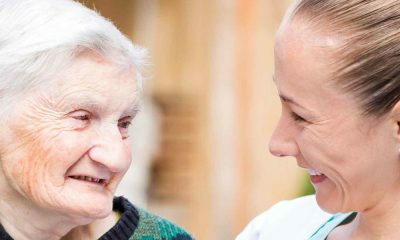 Although both assisted living facilities and nursing homes will have staff that are qualified to take care of its residents, its services can generally differ from one another. Here is a comparison of the different services offered in an assisted living facility and a nursing home. Personal care services include the activities of daily living (ADL), which include bathing, feeding, toileting, dressing, and more. Assisted living homes have a greater emphasis on providing personal care services for residents, but nursing homes will also provide this service. Assisted living homes and nursing homes have staff that work 24/7 to make sure its residents are taken care of. 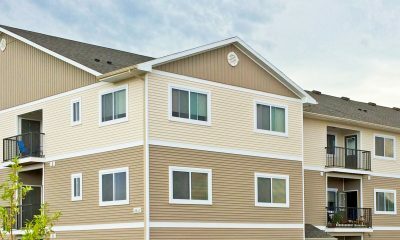 These homes will offer 24 hour supervision for its residents in order to maintain their health and safety. Assisted living facilities will offer medical services onsite but will have a limited amount of medical devices and supplies. A nursing home will provide greater medical care and services. Its staff will be better equipped for serious medical emergencies and will have the necessary instruments to care for its ailing residents. Many states will have differing regulations concerning who can administer and manage medication in a senior home facility. In assisted living homes, caregivers may have a limited role and can only supervise residents to take their medications independently. Nursing home staff members, on the other hand, can manage and administer medication for a resident. Assisted living facilities do not generally have staff that can conduct therapy services where as nursing homes may offer services such as physical therapy, cognitive therapy, occupational therapy, and speech therapy. Some nursing homes have specialized group activities and therapies designed for Parkinson’s patients. For this reason, nursing homes are more regulated than assisted living homes. No matter which long-term care solution you choose, the costs will depend heavily on a few factors such as location, facilities, and the type of residence. Assisted Living Homes: Assisted living facilities are generally more affordable than nursing homes since the type and level of care is not as extensive. As of 2019, the average monthly cost of living in an assisted living facility will be anywhere from $2,500 to upwards of $5,000 depending on your location and additional amenities. However, assisted living homes are typically paid out of pocket or through long term care insurance. This means Medicaid and Medicare will not cover assisted living expenses, although some state programs will offer limited coverage. Nursing Homes: Depending on the location, size of the home, and facility services, the base fees for a nursing home may be anywhere between $5,000 to $10,000. The Genworth Cost of Care Survey reports that the average cost for a semi-private room in a nursing room is $6,800 per month and for a fully-private room, the monthly cost is $7,700. Unlike assisted living, Medicare and Medicaid will cover nursing home stays. 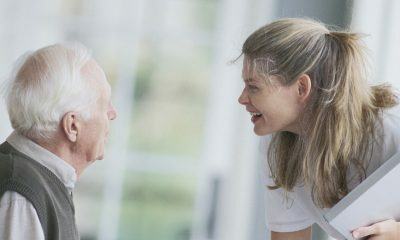 Some government assistance programs such as the Veteran Aid and Attendance Program will also offer coverage for certain services in nursing homes. When should I choose a nursing home over an assisted living home? If you are trying to decide which home will be best suited for your loved one, the main factor to consider the amount of medical attention your loved one needs. If your senior loved one requires a large amount of medical attention because they are suffering from an injury, severe illness, disability, or chronic pain, nursing homes will be a better choice. Nursing homes will have adequate staff and equipment to best deal with your senior’s ailing conditions. Assisted living homes will have a limited medical care and staff. In order to determine which type of living facility will be right for your senior loved one, you must first understand the needs and physical condition of your loved one. Start with an in-depth evaluation from a family physician in order to get a clear picture of any illnesses as well as physical and mental capacities. Your family physician should run evaluations to gauge if the senior is gauge is mobile and able to take care of their activities of daily living. These activities include feeding themselves, bathing, dressing themselves, toileting, and etc. The evaluation should give a clear understanding of the senior’s capabilities and limitations. Also keep in mind any dietary restrictions and health conditions noted by the doctor. After you determine what your senior’s needs and capacities are, you can begin searching for the right home that will meet these needs. If you’ve decided that a nursing home is the right choice for you, this section will help you find the right nursing home for your loved one. In the United States, nursing homes are regulated at both the state and federal level. That means you can easily find information about the nursing homes in your state. Each state also has an office that keeps a record of nursing homes licenses, surveys, and complaints. You can contact these agencies to get a list of nursing homes in your area and view the records of past surveys and complaints. 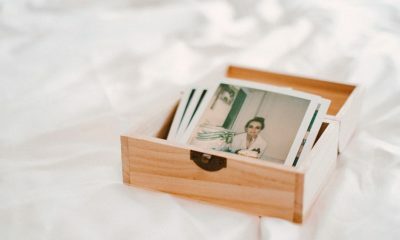 The next step in the process of finding the right nursing home involves researching a list of nursing homes that fit your basic criteria like location, services, and costs. Senior Care Center is here to help you with the search for a suitable home. When you call today, we can help you compile of list of homes that meet your loved ones needs. We can also set up a tour for you visit these locations. Our advisors are available to help you explore budget-friendly options, accommodations, and government-sponsored programs to meet your financial plans. Call us now at (866) 518-0936 to set up a one-on-one appointment with a personal advisor.